Free Space Pack for World Space Week! 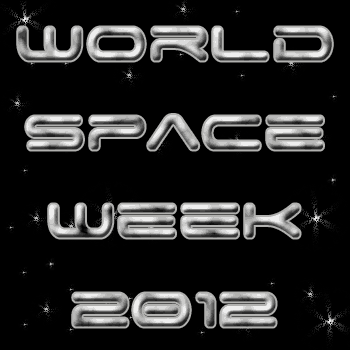 World Space Week is from October 4th through October 10th. 3 Part Cards, Beginning Sounds, Matching Cards, Read Write the Room, Pocket Cards, Which One Is Different, What Comes Next, Pre Writing Practice, Pattern Cards, 10 Piece Puzzles, 4 Piece Puzzles, Clip and Count Cards, Size Sorting, Sorting, Find the Same, Picture & Word Matching, Color the Pattern, Small Books, Math Pages, Writing Pages, Dot Marker Pages, and more. Check here to download the Space Pack! Other Blogs in the World Space Week Blog Hop! Have a great space post? Link it up here! This entry was posted in printable pack and tagged printables, space. Bookmark the permalink. Wow, thank you so much for sharing!! I’ve been preparing a space lesson for my daughter and your space pack came just in time! It is always nice when things workout and we can use them. Love it! My kids both love anything to do with outer space. This pack looks fantastic! Thank you for all of your hard work and for sharing this with everyone. Thanks for linking up this week to my Enchanted Thursdays Blog Hop! You are welcome! I’m glad you can use it! There are so many wonderful things that God has created for kids to explore and discover! Thank you for sharing these! You are welcome. I love that so many people use and enjoy them with their kids! Got it! Thank you, we love using your packs. Amazing! Your packs are awesome! I get so excited about them, but my kiddos are just not interested. I so wish they were – I get them already for them to use and they act interested then walk away. I want them to use them because they are so awesome, teach so much, and I want to use them! Any ideas? I find ways to use them other than straight out. Take the vocab cards or 3 part cards and hide them in beans so they have to dig them out. Put the pocket cards around the house and have them race around to find them. Use different writing items. Find things they like to do and make it different. Have them help prepare things. Talk about the items while getting ready to use them. Often times you can get the teaching in while doing that even if they don’t do the work. Have them Teach you! They learn lots by trying to teach others. My girls like to do search and find. Make a relay between places for the what comes next. Answers one side of the room and page the other side. I’ve put cards on stars. Go up the stairs and do the activity on the stairs. Also some times don’t let them see anything of what you are doing. Let it be a complete surprise. Staple the activities together in a little book they can complete. Wrap it up without them seeing and surprise them. Leave it out so they can work on it. 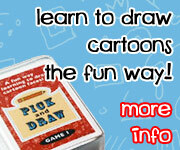 Any of the activities can be turned into a cut and paste activity. I hope some of this helps. Love all of the space stuff. Can’t wait to download it. Thank you!!! I have just downloaded and plan to print these out and use them this week for some quiet time activities (especially the puzzles). These are wonderful. You are welcome! I’m glad that you love them. Pingback: Free Printable Space Pack for Kids! I’m almost in tears….my 3 year old daughter LOVES space…solar system…and I’ve been looking for this ….it might be a little advanced for her but its just great anyway…step by step. Now I just have to get color ink for my printer!! There is a toddler part that my 2 1/2 just loves to do. Very cute. My boys love learning about space. Thanks for linking up to The Sunday Showcase. I’m glad that you like it! I can not express how much I love you for creating this and sharing it! We just started learning about space (my children are 3 and 4) and it’s so much fun. With this pack I can make activities that will transform their classroom with space activities. Thank-you sooooooo very much! You are welcome! I’m glad that you can use it to help further their learning! Wow! These are great! What color printer do you recommend for home use to print all of these great projects? I use a color Brother laser that I like. It all depends on what you can afford. Pingback: Clark and Luci Learn – Solar System Roundup! Pingback: Free Space Printables || Astronomy Resources for the Montessori Classroom.